Before reading this novel, I knew nothing of the work of this Catalan writer. Subsequently, I have discovered that he is a translator, with a very varied CV – from medieval poetry to the Asterix comic books. He writes on cultural and sporting matters for the Barcelona edition of El Pais. This is his first novel. Sometimes translation, as with the extract quoted above, can do a real disservice to a writer. This is not an accusation, however, that should be levelled at Julie Work who has produced the English language version of Lost Luggage. But it is hard to tell if the novel is ‘incomparable literature’, as the review from El Pais claims. There is no doubt that Punti has come up with a good storyline. 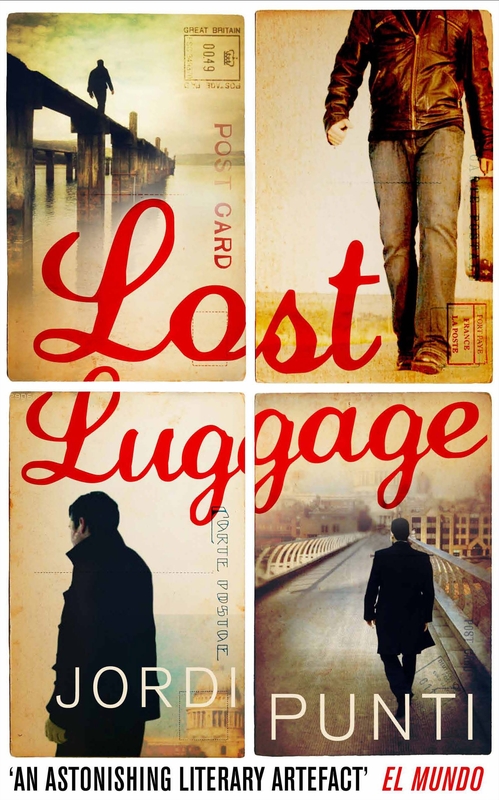 Four young men, Christof, Christophe, Christopher and Christofol discover they are related. They all have different mothers in different countries, and the same mysterious father, Gabriel Delacruz, who has disappeared. He was, it appears, a truck driver, whose business took him from Frankfurt, Paris, London and Barcelona. After Delacruz is declared officially to be a missing person, the half-brothers try and piece together the missing pieces of the jigsaw about the man who abandoned them all twenty years ago. From a nun with a wooden leg in a House of Charity to cards discovered in the lining of one of Delacruz’s jackets, there is picaresque potential in this low-key ‘detective’ story, but Lost Luggage remains intriguing rather than dramatic. Perhaps this is to do with the ‘transcendentalist vacuum’, as discussed by Catalan Literature Online… It is, of course, not fair to be facetious about an author because of a pretentious analysis of his work by someone else. The language of Delacruz’s original may have a dynamic that an English reader cannot appreciate, but, in terms of pure, simple narrative, Lost Luggage ends up in a siding off the main track.